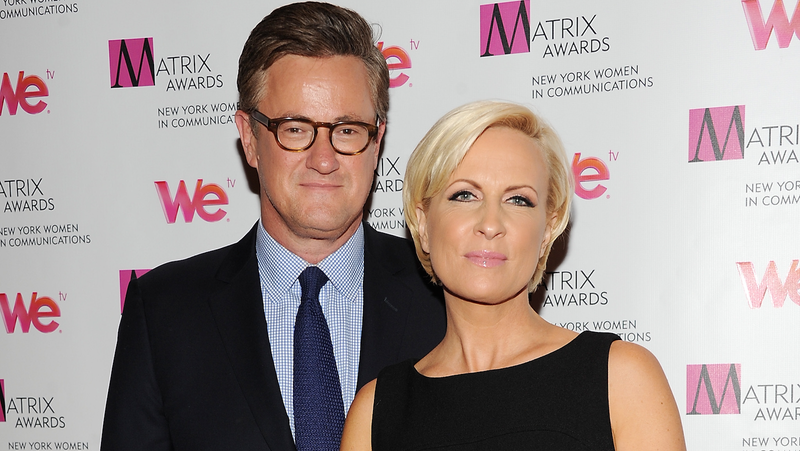 Who Do Joe Scarborough and Mika Brzezinski Think They're Fooling? They are both invited to all my couples’ cocktails and massage train parties. Joe Scarborough and Mika Brzezinski, the two dry, brassy hosts of MSNBC’s Morning Joe, have an onscreen chemistry reminiscent of two college radio DJs who just fucked in the booth. They participate in a sparring that is at once mutually reverent and comfortably denigrating; endearing and sexually tense as hell. In other words, the terrain is ripe for steamy, influencer fan fiction that I have already written. But inside MSNBC, and even on the set of their own show, it’s widely assumed that they are a couple. They are frequently spotted outside 30 Rock, traveling together on Nantucket and in Charleston, or sitting at tables for two over cozy dinners in Manhattan. Last December, when Scarborough hosted a Christmas party for friends and colleagues at his home in New Canaan, it was Brzezinski who welcomed guests at the door. Visitors also couldn’t help but notice that the giant Peter Max painting of the pair—the one that greets visitors at the Morning Joe offices—also hangs in Scarborough’s home. And it’s not as if the two have attempted to conceal their professional-plus relationship. Brzezinski was also Instagrammed by André Leon Talley at New York’s Prohibition lounge, where they both were to see Scarborough’s band, Morning Joe Music. In his piece, Zengerle also recounted that Brzezinski sipped “a couple of Campari and OJ’s and danced on the banquette,” at a Morning Joe Music show (they play Prohibition on Thursdays). Come into the light, Jika/Brzezborough/Scarinski. We’re all waiting for you.